Although we in the US believer our brand of capitalism is the best in the world, other countries actually practice a form a capitalism that is right for them. I thought to show how, an explanation of how the rest of the world sees capitalism using cows as a metaphor would be in order. I hope this makes you more internationally aware of how Adam Smith's invisible hand is a work. - You have two cows. - You sell one and buy a bull. - Your herd multiplies, and the economy grows. - You sell them and retire on the income. - You sell three of them to your publicly listed company, using letters of credit opened by your brother-in-law at the bank, then execute a debt/equity swap with an associated general offer so that you get all four cows back, with a tax exemption for five cows. 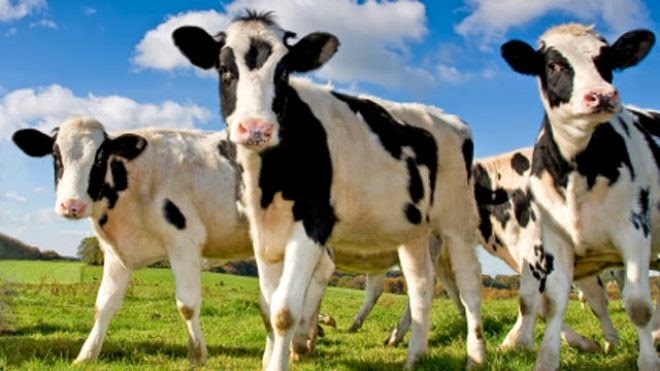 The milk rights of the six cows are transferred via an intermediary to a Cayman Island company secretly owned by the majority shareholder who sells the rights to all seven cows back to your listed company. The annual report says the company owns eight cows, with an option on one more. Sell one cow to buy influence with a new president of the United States, leaving you with nine cows. No balance sheet provided with the release. The public buys your bull. - You sell one, accept an LAW tax promised credit payable in 4 year’s time, and force the other to produce the milk of four cows. - You are surprised when the cow drops dead. - You go on strike because you want three cows. - You then create clever cow cartoon images called Cowkimon and market them worldwide. - You re-engineer them so they live for 100 years, eat once a month, and milk themselves. - You have two cows, but you don’t know where they are. - You break for lunch. - You count them and learn you have five cows. - You count them again and learn you have 42 cows. - You count them again and learn you have 12 cows. - You stop counting cows and open another bottle of vodka. - You have 5000 cows, none of which belong to you. - You charge others for storing them. - You have 300 people milking them. - You claim full employment, high bovine productivity, and arrest the newsman who reported the numbers.